Recently, one of our clients opted towards spot colour printing for their business cards and what a huge difference it made. You can see this in the below images. Both business cards have been photographed using our loupe magnifier. The aqua colour on their previous CMYK printed business cards are muddier and the text struggles. 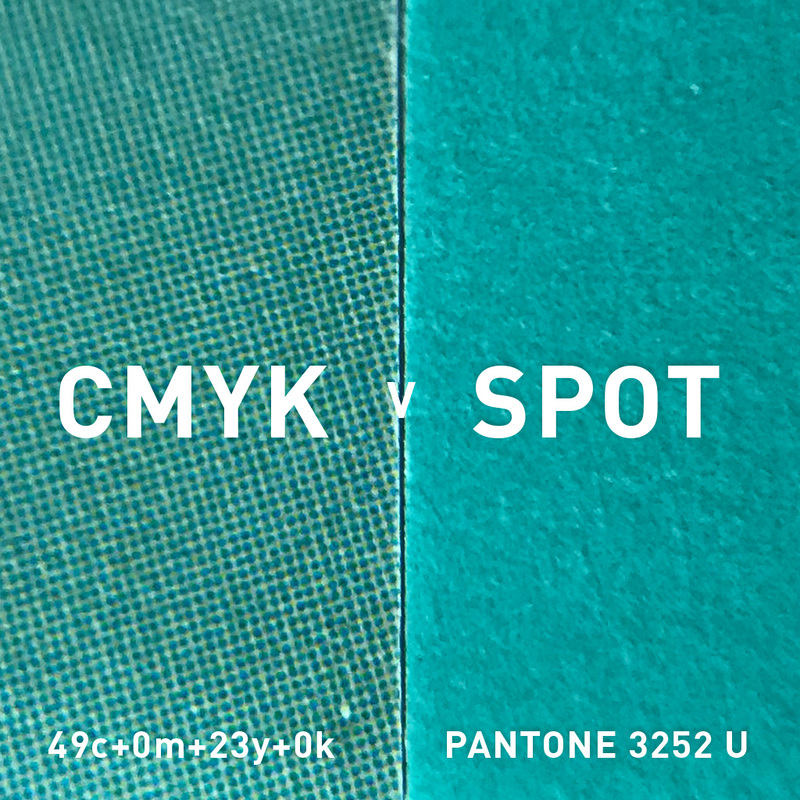 Compare it to the spot colour printed business cards and the aqua punches through with vibrancy and clarity. Even more impressive is how the dark grey compares. This demonstrates the value of choosing your Pantone colour at the start of the design process. Also one of the reasons why we always recommend spot colour printing to our clients. It may be pricier than your standard four colour printing, but the results are worth it. Prev Article This is the internet? The whole internet? Here in Melbourne!